Putting into action the protectionist rhetoric of U.S. President Donald Trump, the U.S. Department of Commerce announced on Tuesday a tariff of more than 200 per cent on Bombardier’s C-Series regional jet. The initial complaint was lodged by Chicago-based aerospace company and defence contractor Boeing, the largest U.S. exporter of goods and the top recipient of U.S. government subsidies. The irony of the situation is not lost on anyone. The Department of Commerce is slapping a penalty on a Canadian firm for receiving subsidies from its government, despite Boeing receiving over $13 billion in subsidies and tax enticements in the last 15 years, according to the Washington Post. 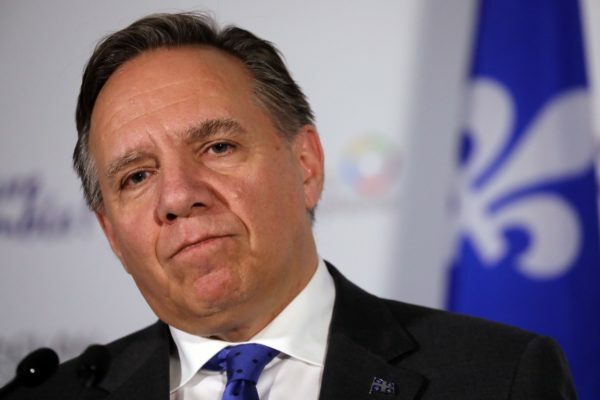 Such a high tariff will raise the cost of importing jets from the Montreal-based firm and deprive American consumers of the opportunity of efficient, low-cost travel they so much crave. Delta Air Lines, which bought 125 narrow-body Bombardier jets for $6 billion in 2016, still has not been able to import the planes to add to their fleet. The final decision will come in the spring from the U.S. International Trade Commission, which has been tasked with determining whether the Delta-Bombardier sale somehow harmed Boeing’s business. Regardless of how this unfolds, it is clear that consumers will be the hardest hit from any decision that results in tariffs. 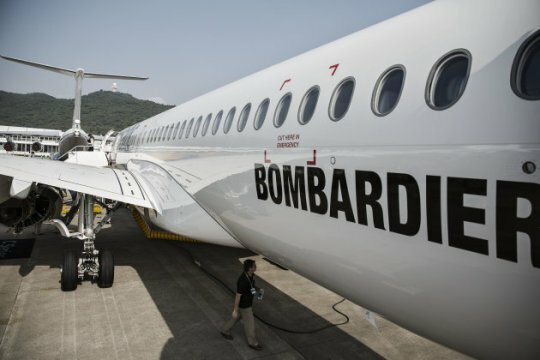 Tariffs will raise prices for any airline looking to import Bombardier jets, which they have judged as better for their business and the service they provide to their customers. If the U.S. government is effectively stopping this by making the price too high for anyone to accept, and thereby favouring an American company, then it is guilty of economic nationalism. There is a time and a place for nationalism, but surely not in the marketplace. Not when thousands of jobs, billions of dollars of revenue, and untold benefits to consumers on both sides of the border are at stake. Raising prices on products entering the country has the unintended consequence of raising prices for domestic consumers. The North American Free Trade Agreement was signed in order to avoid these scenarios, and to provide the best value for the consumers, taxpayers and citizens across Canada, the United States and Mexico. We should stick to that promise to provide the best benefits that free trade has provided for the last two decades. However, President Trump has communicated his intention to renegotiate NAFTA in order to open the possibility of tariffs on various products entering the U.S. What Mr. Trump fails to take into consideration is that artificially raising prices on products entering the country has the unintended consequence of raising prices for domestic consumers. That means Americans have less money to spend overall, which is bad for American business as much as any other company looking to trade with it. If American consumers can’t benefit from new planes sourced from a Canadian company, then what is the point of free trade in the first place? Mr. Trump and his administration will have to make that clear. Trudeau’s government reiterated its threat on Tuesday to cancel Canada’s order of Super Hornet jets from Boeing as retaliation for its claim against Bombardier. Conservative MP Maxime Bernier, a staunch critic of the Canadian and Quebec governments’ subsidies to Bombardier, reserved criticism for those wanting to spark a subsidy war. Consumers in all countries will get a bad deal if these tariffs go through. As the incoming shadow critic for Innovation, Science and Economic Development, Bernier’s promised to continue to raise this with Trudeau’s government. Bernier came second in the leadership election in May and staked his campaign on ending corporate welfare. British Prime Minister Theresa May, for her part, tweeted that she was “bitterly disappointed” with the decision. Bombardier has more than 4,000 employees in Northern Ireland. With so much at stake, all parties would be prudent to think about those most affected by this ruling and any subsequent action. Consumers in all countries will get a bad deal if these tariffs go through, and they’ll be worse off. Costs will be higher and those will be passed on to everyday travellers. We can’t afford to let that happen. Let that be a lesson to the leaders at both 24 Sussex Drive and in the White House.